Business Information Services, Inc. | Business Information Services, Inc.
BIZ provides Systems Engineering, Network, Operations, VOIP, Information Security, Cloud and Datacenter Solutions. Application projects require both business and technical expertise. BIZ provides turnkey project management for all aspects of technology relocation as well as a variety of individual services targeted to specific project needs. 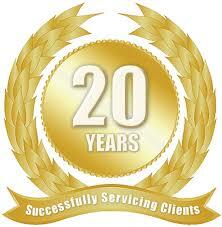 BIZ has extensive experience within the staffing industry. Drawing on this experience has positioned BIZ as a leader in staffing. BIZ provides managed services for firms that want to outsource a function of their business. BIZ manages the budget, staffing, tools needed. BIZ understands the critical components of an effective business recovery plan and begins immediately to identify and categorize the resources and processes needed for a succesful recovery. BIZ provides Assesments, Risk Management, Security and Engineering Compliance. BIZ provides its clients with a variety of services, including recruitment of top-quality professionals. Through our recruiting efforts, we are able to assist our clients in locating candidates for open positions within their departments. On a daily basis we are working on open positions both full time and contract. Our recruiting staff reviews resumes and, with input from our staff, carefully matches the appropriate candidates with the available jobs. In this way, candidates are not sent on jobs that are unsuitable, and the client company does not need to interview candidates who lack the necessary qualifications. It's important that we meet with you to discuss your professional skills along with your personal career goals prior to sending you on an interview.